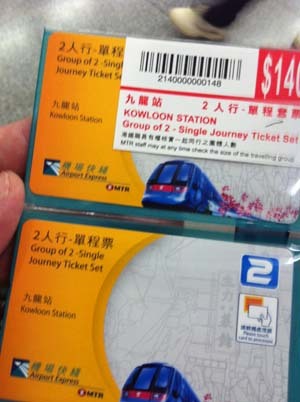 The Airport Express tickets (1 way) which I bought. An interesting display of an old airplane in the past. Somehow, I don't think a lot of pple actually notice it on top of them. 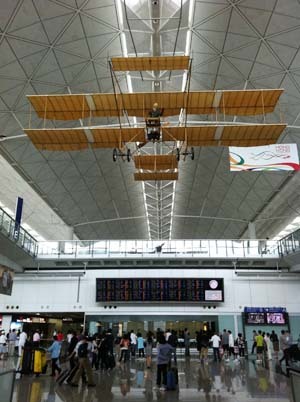 Next important thing to do, go up to the departures hall and buy a HK pre-paid SIM card. This sim card has been extremely useful for me on my iphone when navigating around the city. 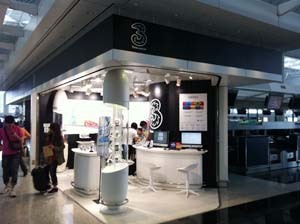 Highly recommended to get the SIM card from 3, which has quite a good 3G coverage in HK. 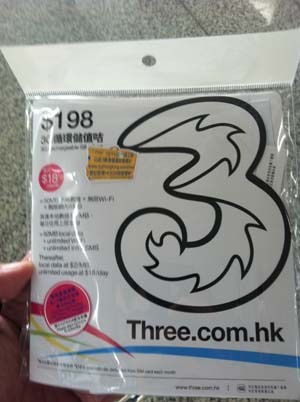 The SIM card which comes with microsim for the iphone. Unfortunately, I was not able to do a hotspot to my ipad but at least safari and google map works fine. 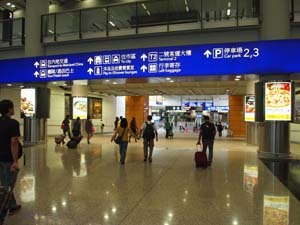 Next, we made our way back down to the departure hall to take the airport express train which is linked to the terminal. Aiken and me making monkey faces for the camera while waiting for the train to arrive. 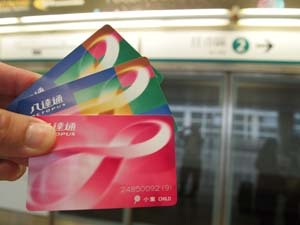 The other important cards for your HK trip other than your credit cards. 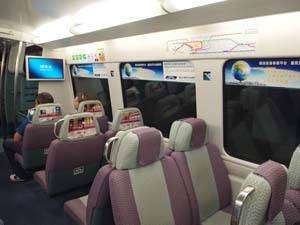 The interior of the train, it is quite comfortable and spacious. 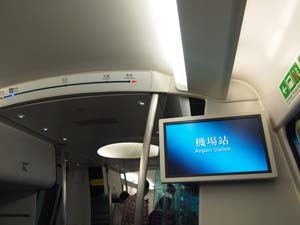 There is also a large screen informing you of the train station. 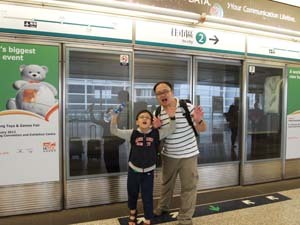 Our stop was the Kowloon station where we will transfer to the free shuttle service.